Snapchat has launched a range of Holi themed creative tools including filters, stickers, lenses and Bitmojis for its users in India. As Holi arrives, everyone is downloading the same photos, GIFs and videos to send Holi wishes. Some messages end up being forwarded to everywhere. 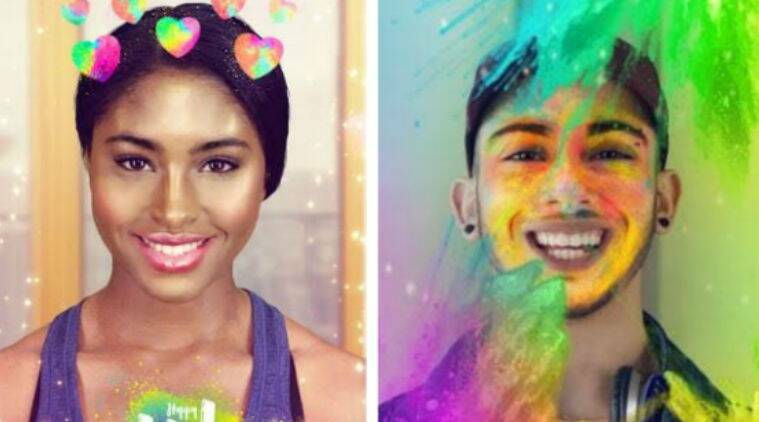 But now you can create unique Holi wishes with Snapchat’s new creative tool. Snapchat launched a range of creative tools targeting the festival of Holi. It lets users create their unique Holi wishes with the use of new filters, stickers, lenses and Bitmojis. You can make as many unique wish cards as you want. The filters and stickers also give you the option to add a splash of colour to photo and video snaps and share with your friends and family. These new filters and sticker do not need to be installed separately. Furthermore, there is another reason to get the Holi celebrations on Snapchat going. The Brut India will be curating the best of Holi celebrations across the country including Mathura, Vrindavan, Jaipur, Shantiniketan, Mumbai and Delhi, snapped on the app. Also, People celebrating Holi across the world will not be left out as Brut India will also include snaps from all over the globe. You can watch them on their dedicated profile in the app. To recall, Snapchat is testing a new design for its Android app with faster performance and redesigned user interface. The alpha version of this Snapchat app is available for early testers.